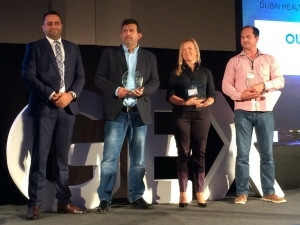 Capitec has been announced as a winner of the prestigious Qmatic Customer Journey Management Innovation award at the Great Experience conference in Barcelona, Spain. Carl Fischer, Executive Marketing and Corporate Affairs, Capitec Bank, has previously said about the Qmatic solutions: "In alignment with Capitec Bank's focus on accessibility and personal service, the customer experience system from Qmatic supports more orderly, efficient service - with capability to minimise waiting times and any inconveniences experienced by customers." Eugene Swanepoel, Managing Director of Emerge Queue, says: ''We were delighted when Capitec was announced as a winner of this award. Their commitment to customers is inspiring and we have always believed that their application of Customer Journey Management solutions is one of the best in the world." Emerge Queue is the sole provider of Qmatic customer experience solutions in South Africa, as well as other neighbouring countries. It is a Qmatic Premium partner and the market leader in South Africa. For more information on any of its products and services, please visit it at www.emergequeue.com.